Two fashion dolls by Creata from the late 1980's. 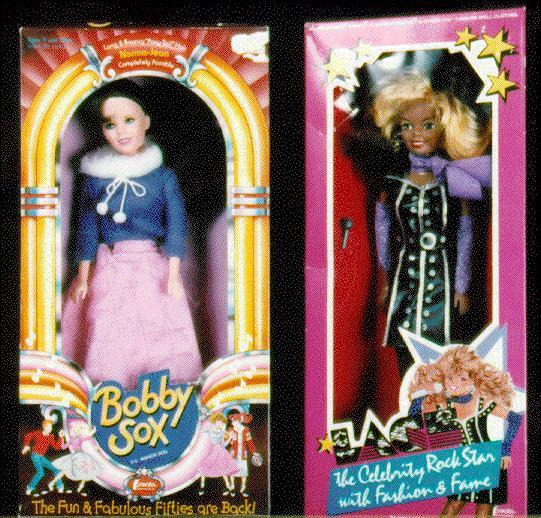 On left is a doll from the "Bobby Sox" series, celebrating the 50's. On the right is a "Lace" doll, their rock group series of dolls, both these dolls came in several different versions, haircolor, etc. They also had a series of outfits to go with each.